A federal judge Wednesday revoked the former pharmaceutical exec's bail after he offered $5,000 to anyone who could grab a strand of Hillary Clinton's hair. Judge Kiyo Matsumoto said Shkreli, who was convicted of fraud in August and is awaiting sentencing, has "demonstrated that he has posed a real danger." Prosecutors said the post reflected "an escalating pattern of threats and harassment," adding that it had triggered an investigation by the Secret Service that required "a significant expenditure of resources." In a hearing in Brooklyn federal court, Judge Matsumoto said she was particularly concerned that he had "doubled down" on his challenge for someone to grab Clinton's hair. 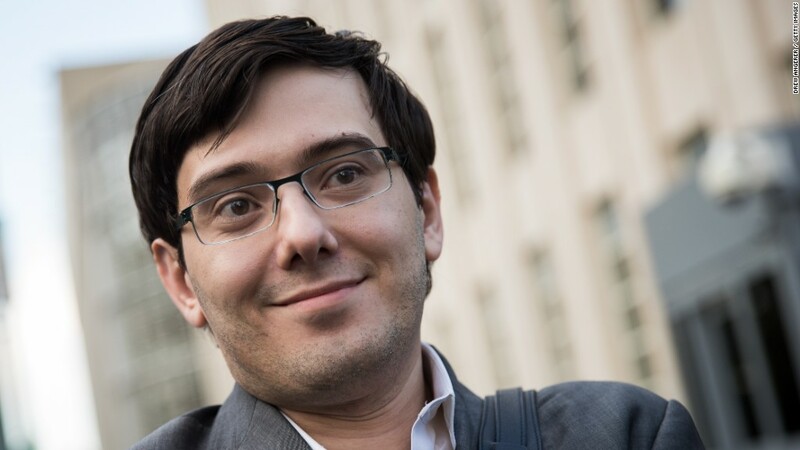 Shkreli said he required a hair with a follicle while urging his social media followers not to hurt anyone. She said his behavior indicates he is "an ongoing risk to the community." Shkreli, 34, has called the post "satire." He ultimately asked Judge Matsumoto not to penalize him for "poor judgment" in a letter filed Tuesday. "I understand now, that some may have read my comments about Mrs. Clinton as threatening, when that was never my intention when making those comments," Shkreli wrote in the letter. "I used poor judgment but never intended to cause alarm or promote any act of violence whatsoever." His defense lawyer, Benjamin Brafman, initially argued that Shkreli has a nonviolent background and was convicted on a nonviolent crime. He conceded that the comment was "stupid." "Stupid doesn't make you violent. Sometimes stupid is just plain stupid," he said. Even after his conviction, he continued livestreaming on YouTube from his apartment, predicting that his sentence would be "close to nil." Shkreli's online harassment of a Teen Vogue editor in January, which got him kicked off Twitter, also came up during Wednesday's hearing. He made sexually explicit comments about the editor on Facebook the night before closing arguments in his criminal trial. -- CNNMoney's Aaron Smith contributed to this report.